Fiber is very very important for us and we should make sure that we get fiber regularly in our diet especially if we want to lose weight. All our traditional diets are high in fiber and as far as we are eating our traditional diets we don’t have to worry about fiber in our diet. But as we move away from our traditional eating habits the fiber intake is also reducing. So it is important we get to know the list of ingredients that are high in fiber and include it daily in our diet. Dietary fiber is the part of the food that is not digested by our stomach and it ends up in our intestines intact. Fibers are of two types, soluble and insoluble fiber. Insoluble fiber like the name indicates does not dissolve in water nor is it broken down in the gut so it adds bulk to the waste material greatly preventing constipation. Soluble fiber is the fiber that absorbs water and forms a gel like substance in our stomach making us feel satiated resulting in weight loss. Fiber less foods, even though they are high in calories will never satiate us. Soluble fiber also binds with other substances thus slowing their absorption into the blood. This is the reason high fiber diet helps reduce blood sugar levels and lowers cholesterol. Soluble fiber is also the food for millions of bacteria living in our gut which are vital for good health. Though fiber is good for us, like with any ingredient it is best to take it in moderation as too much of fiber can hinder nutrient absorption. Usually the recommended dosage for men is around 38 to 40 grams and for women it is around 25 grams. 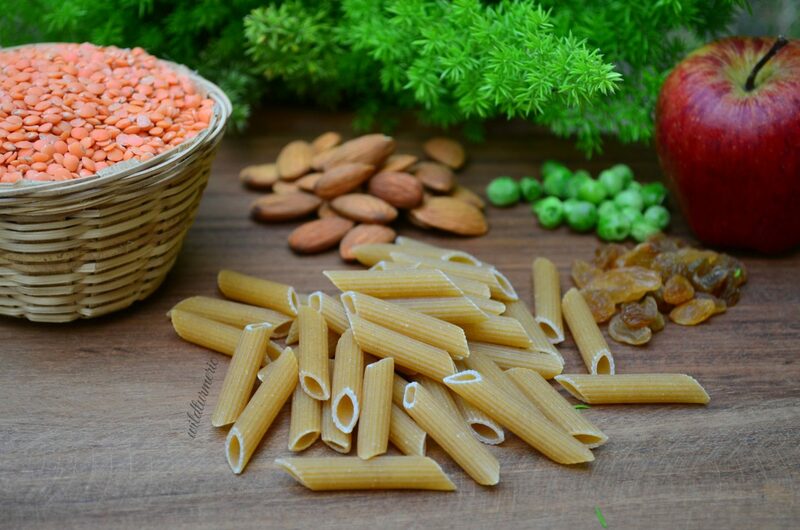 The reason high fiber diet is recommended for weight loss is because it keeps us satiated for a long time which is the secret to losing weight. For example if we consume whole wheat sandwich and plain white bread sandwich of same calories, when we consume white bread sandwich it will makes us hungry within an hour whereas whole wheat bread sandwich will keep us fuller longer. Another reason high fiber diet helps is because it prevents constipation so our digestion is in peak order which helps us assimilate nutrients better. But we don’t have to consume straight bran cereals to get the fiber for losing weight as too much fiber is also bad for our health, all we have to do is follow our traditional diet and we will shed the extra pounds faster. When buying bread, try to buy whole wheat bread that is high in fiber over regular white bread, if in doubt about the quality of the whole wheat bread we get in bakeries, you can also try to make your own whole wheat bread at home. Try to increase your fruit and vegetable intake and consume whole fruits instead of fruit juices. Fruits and vegetable are high in fiber and will greatly help meet the fiber requirements for the day. When buying snacks, make sure to buy cookies and snacks made with whole wheat flour, nowadays we get whole wheat biscuits, oatmeal biscuits and even grain biscuits which are better than ones made with white flour. Since rice and wheat are the staple diet for us Indians, try to make rotis only with whole wheat flour also called atta. When buying rice buy hand pounded rice and soak it overnight so it cooks faster. Try to include beans and pulses in some form in your diet as they are high in protein and good source of fiber. Make sure to soak them overnight and cook them well to easily digest it. Fruits are high in fiber and some of the fruits that are very high in fiber are apples (100 grams of apple have around 2.4 grams of fiber), figs (100 grams of dried figs have around 9.8 grams of fiber), pear (100 grams of pear has around 3.1 grams of fiber), raisins (100 grams have 3.1 grams of fiber), prunes (10 grams have around 7 grams of fiber) and peaches (100 grams of peaches have 1.5 grams of fiber). Some of the other fruits rich in fiber are blueberries, strawberries, apricots and oranges. In vegetables, peas are high in fiber (100 grams have around 5 grams of fiber), brussel sprouts (100 grams have around 3.8 grams of fiber), turnips, corn (100 grams have around 2 grams of fiber), artichoke (100 grams have around 5 grams of fiber) and curry beans (100 grams have 16 grams of fiber) are all good sources of fiber. Some of the other vegetables high in fiber are cauliflower, broccoli, drumstick, ladies finger, etc. Even greens like spinach, moringa, curry leaves are also high in fiber. In nuts, almonds, pista, peanuts and cashews are high in fiber. Instead of snacking on processed food, try snacking nuts that are high in nutrients and fiber. 100 grams of nuts have approximately around 12 grams of fiber. Nuts are high in fat but even if you are trying to lose weight you can consume them in moderation as they keep us satiated for a long time. 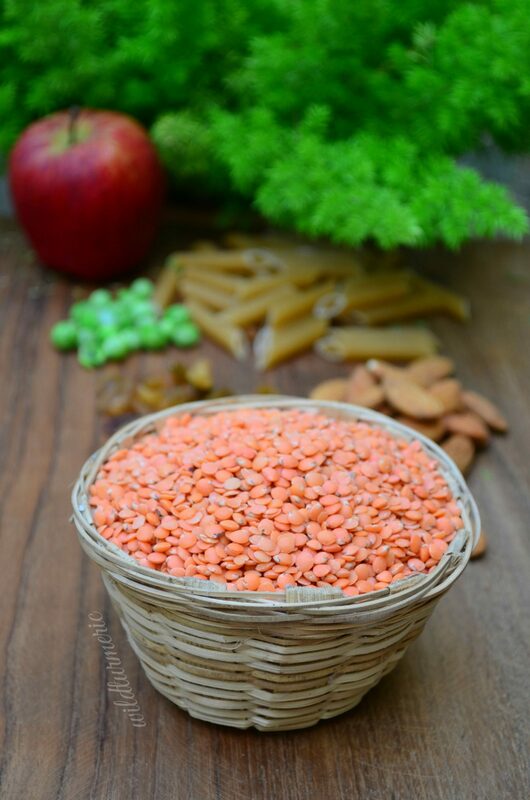 Lentils are another way to get fiber in our diet. Here in our village, we consume lentils in the form of dal almost daily for our lunch along with rice. 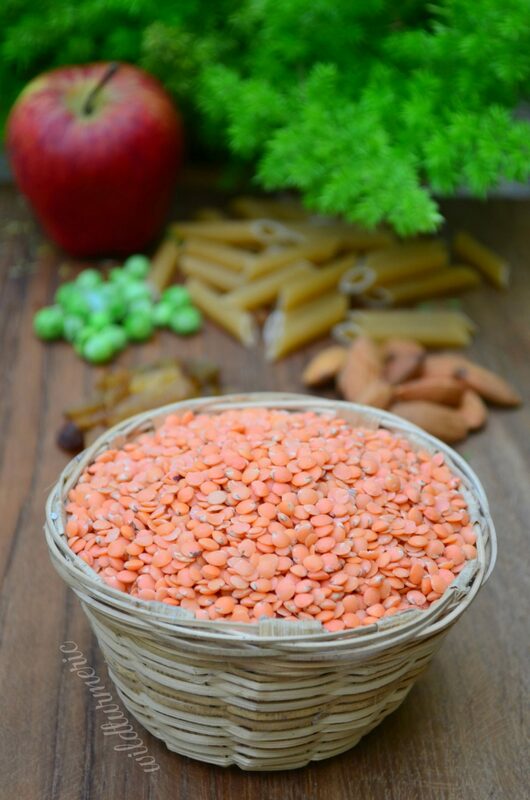 100 grams of lentils have approximately 8 grams of fiber. Since it is low in fat, high in protein, fiber and other nutrients, I would suggest consuming lentils on a regular basis. When consuming grains try to consume them in their unrefined state. Try to use whole wheat flour for all your recipes instead of maida. Even in baking, you can substitute some of the white flour with whole wheat flour. When buying rice, try to buy hand pounded rice, I actually like the taste of hand pounded rice and it keeps us satiated for a long time. Also when buying pasta or noodles, try to buy whole wheat over regular pasta. Beans are very very high in fiber, 100 grams of beans have approximately 16 grams of fiber. The high amount of fiber and a particular type of sugar found in beans called oligosaccharides causes gas if beans are not cooked properly. So always make sure to soak beans overnight and cook them well before consuming. If cooked well, it will not cause any stomach issues. The diet plan I have given below is a typical diet that we consume commonly in our village. If you visit any home in our village, you will be served a meal like this. This diet plan is high in fiber, low in calories, high in nutrients and is very very satiating, perfect if you want to lose weight in a healthy way. We mostly eat only vegetarian food at home so I have given what we eat regularly at home. But you can include non veg in the diet plan too but make sure to consume lots of vegetables without fail. Though roti that I have mentioned for dinner is not had on a regular basis in our place as most people prefer dosas or idlis over roti, I love it so much so we include it often and mostly for dinner. A bowl of oatmeal with raisins or if you prefer Indian breakfast like me, consume whole grain dosa like ragi dosa or kambu dosa along with tomato chutney. We always make chutneys or curries with loads of vegetable to accompany dosas and in my opinion it is the best way to start the day. An apple or pear. Both are high in fiber and will help you prevent snacking. If you have access to fresh berries, you can consume them too as they are full of antioxidants, nutrients and fiber. Hand pounded rice with tadka dal and a cup of beans poriyal. This simple meal though very low in calories will keep you satiated for a long time. We usually have hand pounded rice, dal, rasam (South Indian soup), poriyal (vegetable stir fry), a vegetable curry and buttermilk for lunch but you can simplify to include just dal and poriyal too. A cup of warm vegetable soup. For the soup you can just boil any vegetable that you have at home with 1 garlic pod, 2 shallots, few pepper corns and salt for 2 whistles in a pressure cooker, puree and consume. For dinner consume whole wheat rotis with any gravy that contain beans like channa masala or rajma masala. Make sure to soak the beans the previous night or atleast in the morning and cook well before adding to the gravy. If you have the time, you can also serve roti and gravy along with a simple vegetable salad also.